I have been practising Cognitive Behavioural Therapy for over 20 years. I now specialise in helping people with obsessive problems using specialised CBT programs. I can show you how to stop your obsessive thoughts and behaviours and get back in control of your life. i have 20 years experience in treating BDD and Muscle Dysmorphia . Body Dysmorphic Disorder can be treated effectively using the right CBT techniques. Download this FREE in depth guide to the assessment and treatment of Body Dysmorphic Disorder. It covers how to recognise the symptoms of BDD, how they develop and what techniques work to help people overcome their BDD. Obsessive worries about your health can take over. CBT can show you how to control and beat these fears. Do you get disturbing thoughts or images jumping into your mind? This is often called Pure O. The thoughts and images are usually about harming others or yourself. There are tried and tested ways you can learn to overcome this distressing condition. Cognitive Behavioural Therapy is the therapy that has been proven to work with this problem. ​Cognitive Behavioural Therapy can help you change the way you think, feel and behave. It helps you to understand the negative patterns you are caught up in. We often know we are doing them but still cant stop. 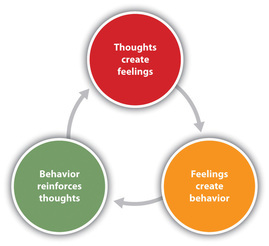 CBT helps you change these patterns step by step. Our expert Cognitive Behaviour Therapists can teach you the techniques and tools to help you overcome your problems and gain control of your life. "I was too scared to go outside my door for 15 years. Now with your help my life has been transformed. I am so much more confident now that I am starting a job abroad! Thank you so much"
"David I am so grateful for all you have done for me, it's good to feel normal again after the most frightening experience of my life"
"You have helped me change my life for the better, things seem so different now. I am going to be more positive from now on. Many thanks for all your help." "Things have really improved for me since my last session, to the point where people don’t even recognise its me anymore – but in a good way. All in all things have been totally different for me and even I cant believe how different. So I just wanted to say thank you David, your help really has made a difference!!"